I am what I am. if you don’t like me, turn your head. and walk away, simple at that. Quote : I am what I am. if you don’t like me, turn your head. 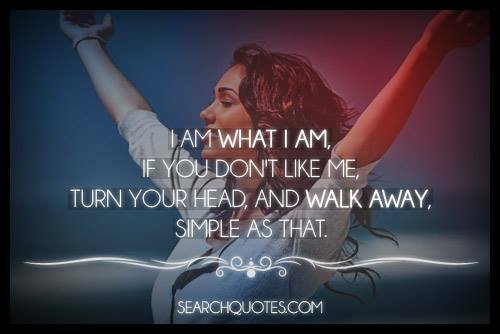 and walk away, simple at that.